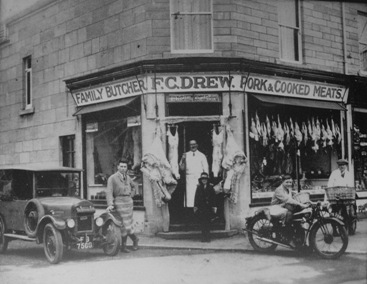 The objective of this project was to capture the memories of Society members and other residents of the old shops in the village of Combe Down, where they were, what they sold, and in particular the quirks and mannerisms of the wonderful characters who ran them. The original idea came from Ruth Sutcliffe, who organised a Workshop in May 2006 at which residents talked about and then wrote down their memories of the many shops that used to be in the village. Richard Read took over the project, and with the enthusiastic team of Jane Briggs, Phyllis Brown and Olive Webb sorted all the input and started to interpret the implicit geography and timeline of the many shops that featured in the memories. Early help also came from Frances Stobart and Rosemary Simmons who started the work of going through PO Directories and Parish Magazines respectively. Copies of old maps provided by the B&NES Stone Mines Stabilisation Project also helped to clarify place names and the evolution of the village layout. They summarised their work in an Interim Report to members in March 2008, with 20 copies circulated around the village for review. That really stirred the memory juices, resulting in an avalanche of further input, not just personal memories but photos and other documentary evidence as well, giving us a wealth of information. 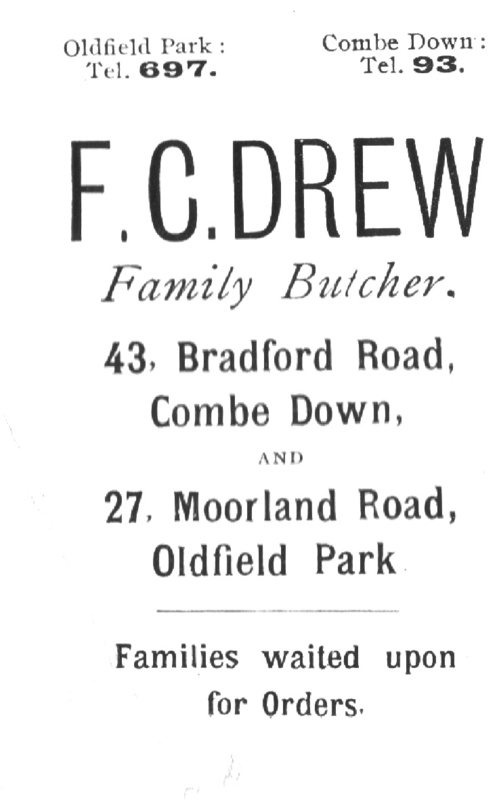 We now know of over 60 locations in the village where a shop has been at some point, and it is very clear that the village of Combe Down was fully self-sufficient for both the necessities and luxuries of life until well into the 1960s, when the pressures from large supermarkets and the increasing availability of private transport meant the end of most, but fortunately not all the shops on Combe Down. The research has now (December 2009) been published in the Society’s latest book “Remembering Village Shops”, edited by Richard Read and with a Foreword by Stuart Burroughs, Director of Bath at Work in which he calls the publication “…an exemplar of local historical research, the bedrock of social history, particularly since it has used both first person testimony and documentary sources woven together…” The book’s 132 pages include all the rich personal memories, put into context with entries from PO Directories from 1858 to 1980 and backed up with over 40 black-and white photos plus many adverts from contemporary Parish Magazines, which in themselves give a delightful insight into how the shopkeepers wished to represent themselves to their customers. Some of the costs of publication were covered with the support of current local traders who placed advertisements in the old style inside the front and back covers.